In a case of persistence paying off, casual gaming giant Zynga has reportedly snapped up OMGPOP, the six-year-old gaming studio that created the recent smash hit Draw Something, reports All Things D. Zynga has reportedly finalized a deal of $180M to own the number one selling app on Android and iOS and will pay an additional $30M in employee retention bonuses. The company was founded as ‘iminlikewithyou’ by Charles Forman but changed its name back in 2009. It was first funded back in 2007 by Angel investor and Digg founder Kevin Rose and has raised three rounds since, the last in early 2011. The recent success of Draw Something, which has netted some 30 million downloads, likely has a lot to do with this deal being made. The news that Zynga was looking at the company for acquisition was first broken on Monday by Techcrunch. The move is both typical and atypical for Zynga. The company has acquired some 14 game companies in the last 12 months, but has also come under fire for outright cloning popular titles from iOS developers like Nimblebit and justifying that in internal memos. This acquisition nets the company one of the biggest gaming hits on Android and iOS since Angry Birds, the perennial cross-platform winner. The game was apparently garnering about $250K a day from in-app purchases. We will be listening in on the Zynga conference call later today and will bring you any news, including confirmation of this deal, as it arises. Update: Zynga confirmed today on a conference call that it did indeed acquire OMGPOP. 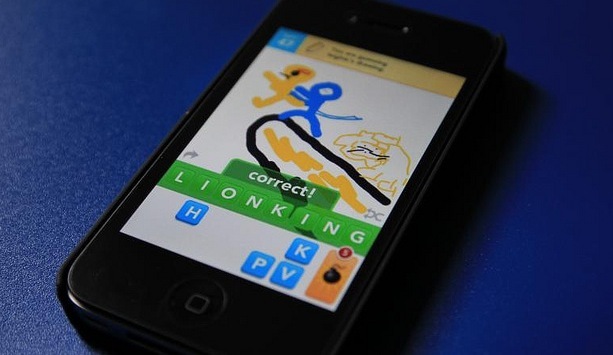 OMGPOP CEO Dan Porter said during the call that “Draw Something has been an incredible and wild ride.” Users have been sharing 3000 drawings per second at its peak and in the last week, more than 1 billion drawings were created.